First up is Girl’s Day Hyeri. Born June 9, 1994, Hyeri is a charming Gemini. She joined Girl’s Day in 2010 after a previous member left for personal reasons. In addition to her popular work with Girl’s Day, she is also an actress and has appeared in multiple television dramas. She starred as one of the main characters in Seonam Girls High School Investigators as well as various other appearances. Girl’s Day Hyeri is a great role model for young girls. 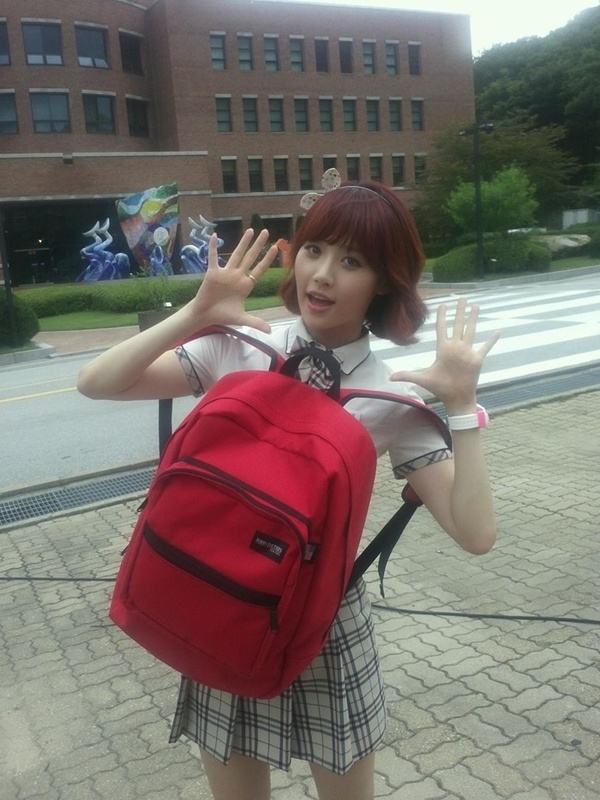 These days she’s studying in the film department at Konkuk University in Seoul, and for her studies, she needs a good backpack! That’s why she’s chosen one of our fabulous John Peters New York school backpacks. This beautiful red color looks great on her, and has all the space she needs for her studies! For those young girls who want to be just like Girl’s Day Hyeri, check out www.johnpetersnewyork.com to get your very own John Peters New York backpack, just like the stars! Share the post "Korean Celebrity Fashion: Girl’s Day Hyeri"
Posted in CELEBRITY'S PICK and tagged backpacks for high school girls, girl's day fashion, girl's day hyeri, girl's day hyeri backpack, girl's day hyeri bag, girl's day hyeri fashion, girls backpacks, john peters new york backpacks. Bookmark the permalink.